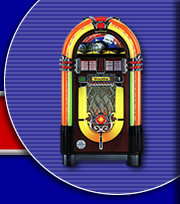 Chrome, light and glass cloak the latest jukebox technology. An icon of the 50’s and 60’s is gloriously recreated. 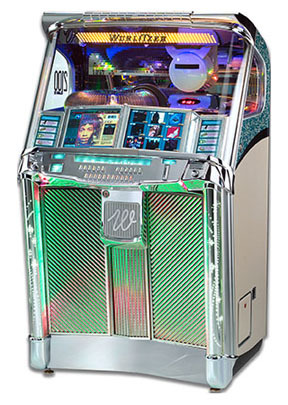 The Wurlitzer Classic 2100 – a real eye catcher anywhere ! 2 flat screens. Selection by means of button. (enlarged view of the CD cover). menu guide. Easy scanning of CD covers.